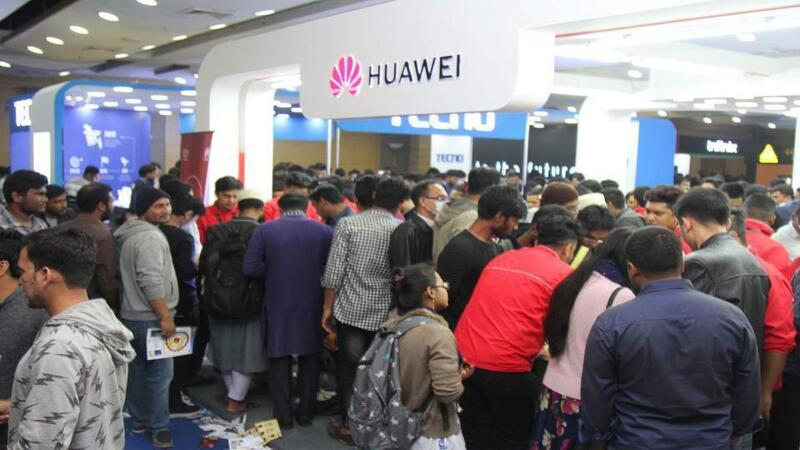 (MENAFN - Bangladesh Monitor) Dhaka: TechShohor Smartphone and Tab Expo welcomed huge crowd on Friday, the second day, as consumers rushed to grab their favorite gadgets on the weekend at Bangabandhu International Conference Centre (BICC) in the capital. Earlier on Thursday, Mustafa Jabbar, Telecommunications Minister, inaugurated the expo as chief guest while Zunaid Ahmed Palak, ICT State Minister, being special guest on the event. The participating brands are offering attractive discounts on their products. Huawei announced maximum 20 percent discount on smartphones and maximum 40 percent discount on accessories. The customers are also getting maximum 12 percent discount on Tecno brand of Transsion Bangladesh while Vivo mobile announced maximum 50 percent waiver on price chart. A free speaker is available with every purchase of Motorola device. Infinix and Umigidi brands offer maximum 10 percent and 20 percent respectively. All smartphone and tablet brands are available in the three-day fair that ends on Saturday. Brands such as Huawei, Samsung, Tecno, Vivo, We, GoldenField, Motorola, Nokia, iPhone, UCC, Infinix, Umidigi, DTel, ADA, Maximums and e-commerce platform Priyoshop.com seem to have garnered much hype.